Its memory. Does what it's supposed to do, which is be a memory stick. TBH though I love the design of the heat spreaders too. Really matches my build's color scheme. 3200 clock at 16 cas could have done better but i'm not disapointed. Can't Beat that price for DDR4 ram and 3200. Well unless it was free. But either way this was perfect for my dark black build color scheme build. I will be buying 2 more to fill all the slots later. Also my motherboard could only overclock to 3200 so this was literally as far as it could go. 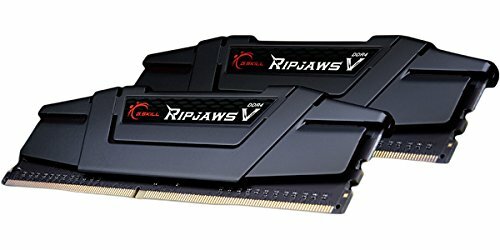 This is fast RAM and the price just keeps getting lower. The design is very understated, for builds that don't want to be flashy. G.Skill is a well known entity and dependable. Very good and attractive RAM so far. It can run 3200 but you'll have to overclock it to get it to run that fast with most motherboards. So I'm running it at 2133. 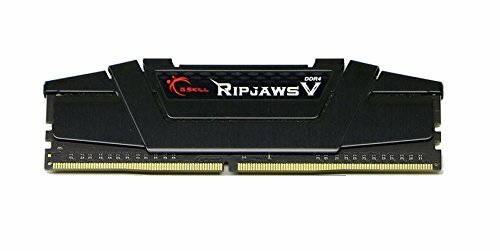 Still a great RAM though. It's RAM. It's Fast. And it's Furious. What can I say, it's ram, there's lots of it, it's quick and it looks great. Works great, 3200mhz is pretty damn quick. the ram has worked as good as i wanted it too. i have not tryed to oc the speed past the base of the motherboards 2400 mostly since i feel it is not needed, but if i ever get my hands on a k sku cpu i will definitely be trying. Nice price/performance ratio and they overclock well.